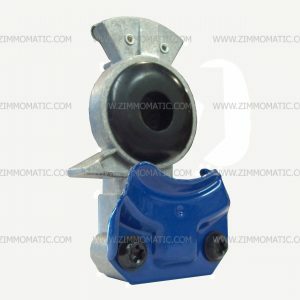 This 1/4″ quick connect coupler connects the airline for your trailer air gauge to the truck so you have the trailer pressure readout. You can purchase it and its male partner, MCSHC52, for other uses as well. 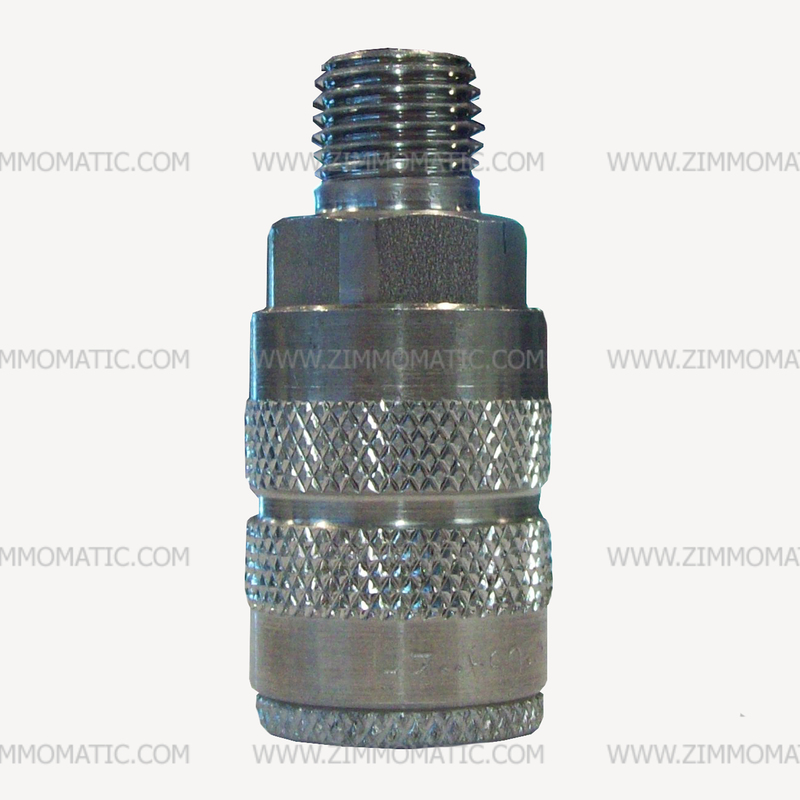 The male thread turns into 1/4″ national pipe thread. 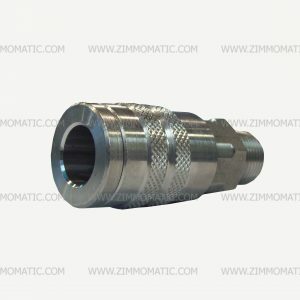 Its stainless construction comes in handy when using the quick connect coupler in an environment where it will be subject to weather because the coupler will not rust or corrode. The stainless steel quick connect, 1/4 inch, female end, male thread, would normally be used for air gauge communication lines. 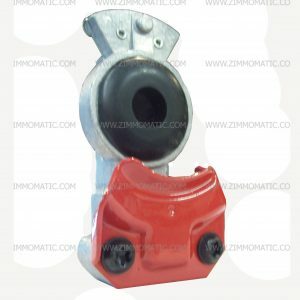 The female end mounts in your airbox or deckplate and the male end, MCSHC52, threads onto the airline coming from your trailer pressure gauge. 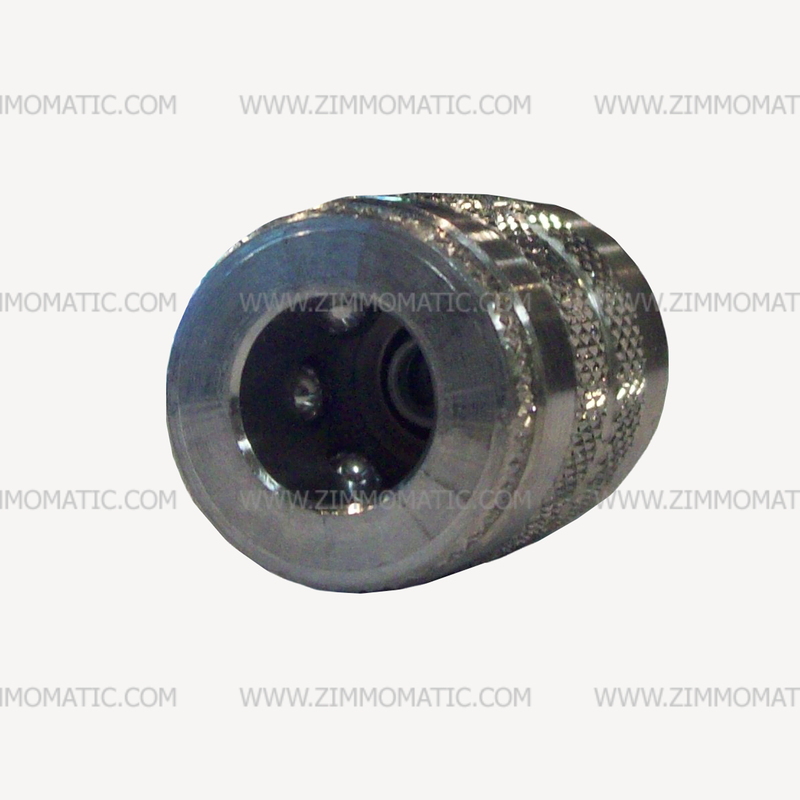 The female socket will thread into 1/4″ national pipe thread. Both the male plug and the female socket are fully stainless steel. 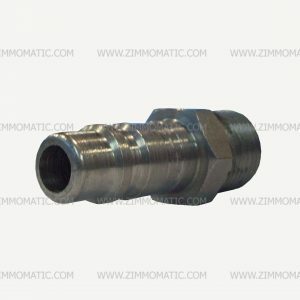 Here on our website, you can also buy 1/2″ stainless steel quick connect couplers for airline hookup changeovers.